Sift the flour & icing sugar onto your worktop. Add bicarbonate soda & spices and mix well. Make a well in the middle and add the eggs, butter (soften) and honey. Using your hands mix all the ingredients together and form dough. Place it in a clean plastic bag (zip lock bag or wrap in cling film) and keep in the fridge overnight. The following day take the dough out. Roll it thin (3-4 mm) and cut out any shapes you like. Bake at 180⁰C/356 F for 10 minutes. Optional: To get a really shiny look on your gingerbread cookies, shortly before they are ready (about 8 mins into baking) take the cookies out & brush with egg wash. The post Best Christmas Cookie Dough appeared first on HappyFoods Tube. 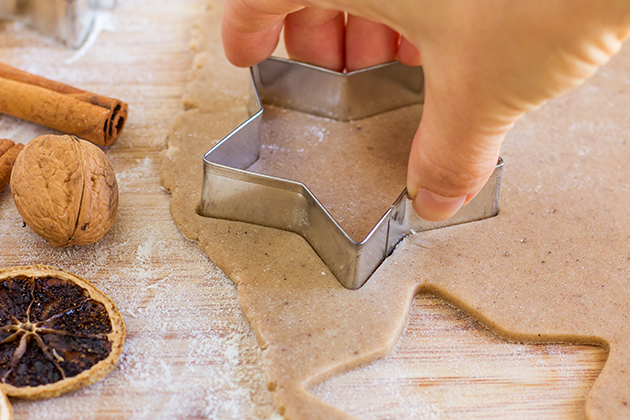 Are you looking for best Christmas cookie dough recipe without ginger? Here it is! Gingerbread cookies with honey, cinnamon and cloves! Done in 10 minutes! Do you feel like Christmas is coming pretty fast this year? Because I do! 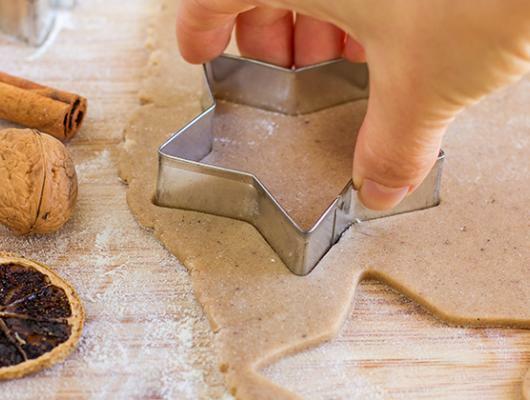 It’s almost time for Christmas baking!